This article addresses the topic of non-use cancellation (NUC) actions in China, focusing primarily on its offensive uses against third party and/or pirate marks on the registry. It provides an update on the law as well as best practices regarding the use of NUCs to clear conflicts – including pirate registrations. In 2016 and 2017, China led the world in trademark registration applications filed. While that leadership is in part a result of the country’s population and recent pace of innovation, the trademark law and practice environment is undeniably a major factor as well. One of the chief differences between China’s trademark registration regime and that of many other countries is that China does not require applicants to affirm their “intent-to-use” when filing or prove use before being granted a registration. 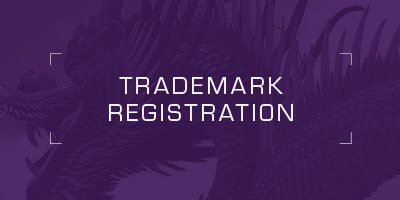 With the official filing fee recently being cut in half, filing to register a mark in China is relatively inexpensive, which, together with China’s “first-to-file” (as opposed to “first-to-use”) registration regime, has created a rush to the register and encourages the filing of ever-increasing numbers of trademark registration applications. Underpinning the situation is the fact that trademarks are treated as chattel in China, and the concept of goodwill derived from trademark use does not exist in the way it does in other countries. Trademarks are therefore bought and sold in a manner that would constitute a “naked assignment” (thereby rendering the mark invalid) in many countries. Combine all these factors – the lack of any requirements to affirm intent to use or show use before a mark is approved for registration, comparatively-low cost to obtain rights, first-to-file system, and the ease of buying and selling trademarks – and what a foreign brand owner is faced with is a massive “trademark auction” environment that encourages early filing, and has given rise to a swell of bad-faith, pirate applications. This situation has also resulted in much deadwood (registered but never used marks) on the register. The silver lining for brand owners who are not using their registered marks in China is that it isn’t cost-prohibitive to file fresh registration applications and thereby avoid NUC vulnerability. Second Group – rightful brand owners filing defensive applications across a broad range of classes to protect against predation by the first group of pirates/squatters. Larger companies may opt to file in all 45 classes of goods and services to pre-empt other companies from exploiting gaps in coverage (Starbucks being an oft-cited example). The offenders who make up the first group are obviously a huge concern to legitimate trademark owners who often need to spend huge sums to oppose or invalidate the pirate marks, and whose own rightful use may be curtailed or prohibited due to the prior marks. But, collectively, the actions of the second group can create negative externalities as well, given the effective rationale of trademark law to prioritize efficient use of trademarks. And, given that any trademark may be renewed in perpetuity, the shelf life of either type of registration is potentially unending. Without the ability to strike these marks for non-use, many rights-holders would have no opportunity to register – or recover (if pirated) – their marks in China. NUC actions are aimed at reducing deadwood in the system, effectively freeing up space for trademark properties to be recycled. Who Can File an NUC? In short, anyone can file an NUC. The sole criterion is that the mark under attack has already been registered three years (not counting time where the mark was opposed). And, because the evidentiary threshold is low and cost to file is reasonable, there is little downside to filing an NUC, particularly where the target mark has been cited to block a new application in the designated class. Moreover, once an NUC is filed, the registrant has the burden to demonstrate relevant use (or the cause for excusable non-use) within the relevant period of three years prior to the NUC filing date. This means trademark owners must be aware of both the defensive and offensive implications of NUCs. We address each of these instances below. Fortunately, the practice of filing NUCs has not yet caught on among trademark pirates, most likely because they are too busy filing their own registration applications. Hence, it is still uncommon that rightful trademark registrants are forced to defend against NUCs. And, in most cases the effective response will be fairly straightforward. Where a foreign registrant is already using the mark in China in respect of the goods or services that are covered by the registration that is being attacked, either through manufacture, promotion, distribution, sales, provision of services, or the licensing of third parties to engage in such actions where the registered mark is used, it will be relatively easy to demonstrate use of the trademark that is sufficient to sustain the registration. Fortunately, other than the requirement that use must be for the purposes of identifying the source of goods or services, there are no specific restrictions on what constitutes use: use on product packaging, invoices, labels, brochures, and catalogues are all acceptable. To be safe, registrants are normally recommended to provide dated, notarized records showing actual sales records, bills of lading, export records, as well as other documentary evidence. Photographs may be helpful as supplementary evidence, as long as they are clearly dated. It may also be possible to survive an NUC even if the registered mark hasn’t been used, where, for example, such non-use was as a result of force majeure, a government policy restriction, bankruptcy liquidation, or another legitimate reason not attributable to the trademark registrant. Such a defense would need to be supported by sufficient, effective documentation proving the reason for non-use. But there’s no reason to panic if not all of these records are available. Over the past few years, the TMO has been quite lenient – some would say too lenient! – in determining what constitutes proper use (or excusable non-use) of a mark, perhaps due to a reluctance (or even an informal policy infrequently) to cancel a mark. Although the Trademark Law’s implementing regulations provide for partial cancellation in situations where use isn’t proven for all of the goods or services covered by the registration that is the subject of the NUC, as a practical matter we find it is not necessary to show use on everything. Under current practice, showing use on even one or two items is usually sufficient to maintain the registration in its entirety. This practice could, of course, change at any time without prior notice, so typically it’s worthwhile to submit evidence in respect of as many of the registration’s designated goods or services as possible. That said, risks do exist, at least in theory, in the event the client makes use of its mark in China, even after it files a NUC. As with any infringement situation, the registrant of a mark, even one subject to a NUC, can still pursue infringement proceedings – criminal, administrative and civil – while the NUC is still pending. As NUC proceedings can extend 4-5 years (if all appeals are pursued), the risks of infringement during this period can be significant. Fortunately, most registrants who are under NUC attack will not file such proceedings. But it does happen, and the obvious solution is to purchase the registration – assuming the price is reasonable. Lastly, if the trademark owner files a civil action but hasn’t used its mark in the last three years, it will not be eligible to receive civil compensation. But administrative fines and injunctions are always a possibility. In most cases, foreign brand owners are not the targets of NUCs but instead are the initiators. There are two main reasons why a brand owner would file an NUC: to remove a prior mark that is likely to block the brand owner’s own application(s), or in circumstances where filing a trademark invalidation petition is no longer available. Where the brand owner is new to the China market and anticipates that its mark may be blocked, either by a pirate or good-faith prior mark, the goal is strategic, i.e, to clear the prior obstacles. Where a pre-filing search has identified an obviously-blocking mark, it makes sense to file the NUC before filing the trademark registration application. In other cases, the brand owner will not learn of the obstacle (i.e., that the TMO examiners deem a given prior mark to be similar to the brand owner’s mark) until its own application has been rejected. The brand owner will then file an appeal of the rejection with the Trademark Review and Adjudication Board (TRAB) combined with an NUC against the cited mark. Finally, if the prior mark has been registered for more than five years, the circumstances under which a trademark invalidation can be filed based on improper registration narrow greatly, and the NUC becomes the principal weapon available to try and clear a prior mark (assuming, of course, that it hasn’t been used). Around 3-4 months after the NUC is filed, the TMO will serve the registrant a Notice to Provide Use, with a response deadline of two months after receipt. Interestingly, any evidence of use filed by the registrant to defend against the NUC is not provided to the NUC petitioner. If the petitioner loses the NUC action and wishes to review the evidence that the registrant filed to defend the NUC, the petitioner will need to appeal the TMO’s decision to the TRAB. As part of the appeal, the registrant’s evidence (of use or excusable non-use) is disclosed to the petitioner through an evidence exchange. Given that, and particularly as the TMO’s review of registrant evidence generally seems quite forgiving (with broad acceptance of, for example, clearly forged/false evidence of use, or evidence of use of goods/services not covered by the target registration), it often makes sense to file an appeal just to see what evidence was filed by the registrant. Ideally, the registrant fails to file any evidence, or files evidence insufficient to demonstrate use (or excusable non-use) in respect of the correct goods/services within the specified time period, resulting in a TMO decision canceling the registration. If the registrant doesn’t timely appeal such decision to the TRAB, the TMO’s decision becomes final, and the registration will be canceled, clearing the path for later-filed applications for identical or similar marks covering identical or similar goods or services to mature to registration. In regard to timing, the TRAB’s unwillingness to delay its examination of rejection appeals pending resolution of related NUCs dictates filing such NUCs much earlier – often, even before the trademark registration application itself – just to maximize the odds that the blocking registration will be fully and finally canceled in time for the TMO’s review, or at least during the pendency of the TRAB appeal. In spite of the TRAB’s harsh deadlines and unwillingness to suspend rejection appeals pending actions against blocking registrations, recently the TRAB has indicated that it will suspend its review of rejection appeals in cases where the filing date of the NUC pre-dates the filing of the rejected trademark registration application itself. More than before, this should encourage trademark applicants to carefully search for possible blocking marks, and proactively move to cancel them before filing the trademark application (rather than waiting for the application to be rejected by the TMO and only then filing the NUC simultaneous with the rejection appeal). Trademark examiners seem more willing these days to rule in favor of petitioners in targeted “partial” non-use cancellations, i.e., where the NUC petition targets a subset of goods/services covered by the registration, rather than trying to cancel the registration in its entirety. This strategy works best when a few key items are blocking. However, where pirate registrations are concerned, canceling the entire registration is clearly preferable. The TMO seems intent on shortening the length of time it spends reviewing any cases before it, and NUC actions are no exception. In some NUCs, where the registrant fails to respond, supplying no evidence, a decision may be issued in under six months. The TMO continues to reject NUC petitions even where the evidence of use provided by the registrant is clearly fraudulent, or in the case of partial NUC petitions, demonstrates use in respect of goods/services that are not germane to the NUC action. Indeed, examiners seem loath to cancel marks that have been used in any way, even when the evidence of use is weak. It’s far too common for registrants to put forward fraudulent evidence to demonstrate use (or excusable non-use) of the mark, though NUC petitioners cannot review and challenge that evidence as part of the TMO action. Given this, and if there are any suspicions that insufficient or fake evidence may have been used to defend an NUC, filing a TRAB appeal – where the evidence put forward by the registrant can be reviewed and challenged – is strongly recommended. For brand owners that are not using their registered marks in China, the way to maintain some safety from NUC vulnerability is to file fresh applications to register every three years, thereby ensuring no gap in registered protection. Relatively inexpensive / easy to bring (compared with other actions) – the costs are low compared to other registry actions, given the limited allegations being made therein: namely, “the mark has not been used in the last three years.” Where stakes are a bit higher, it often would be recommended to conduct an onsite investigation to meet with the registrant and obtain admissions regarding its use of the mark, or the lack thereof. That being said, such investigations are not required, and from a filing formalities perspective, the TMO is nearly always willing to accept the filing of an NUC petition based only on the results of online research, i.e., screen shots, and online searches that indicate the mark has never been put into use (at least in the online sphere). The registrant has the burden of proof to demonstrate use – the trademark registrant, not the NUC petitioner, must prove that it has used the trademark on the designated goods/services within the prescribed time period, or has a legitimate reason for non-use during that period. Thus, and so long as the petition meets formality requirements (in particular, that three years have elapsed since the date of registration, and the petitioner has put forward some minimal evidence indicating that the mark has not been used), the burden of proof falls on the registrant to prove use or excusable non-use. The NUC petition remains one of the preferred tools to effectively deal with “problem” trademarks, particularly pirated trademarks, that are clogging the register. But the NUC is a two-edged sword, i.e., when wielded by pirates against legitimate registrants, it can be unwanted trouble. Fortunately, currently we see few trademark pirates employing NUCs to attack legitimate brand owners.